Top 4 iPad Alternatives ! When it comes to tablet computers then the Apple iPad has been top of the tree since it was unveiled a couple of years ago. Now that a third incarnation is said to be on the horizon then all eyes are on Apple to see what it comes up with in the New Year. However, not everybody is a fan of Apple products and some seek out other options when it comes to tablet fun – there’s certainly plenty out there to choose from. 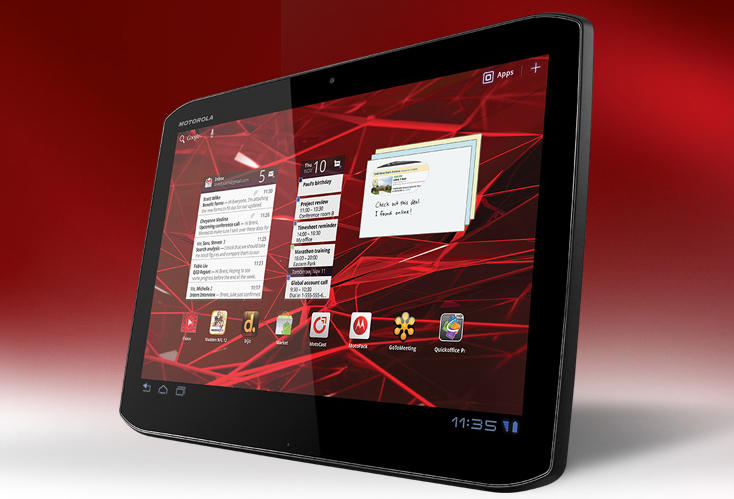 The Motorola Xoom 2 is a tasty tablet that has recently been updated and is now much improved. There’s Android 3.2, a 1.2GHz processor plus 1GB of RAM. 32GB of storage and a 10.1-inch capacitive LCD screen ensures that it’s future proof and delivers a pleasing experience to the user. Externally, this new model now features much more impressive looks making for an all-round package that’s up there with the best of them. Meanwhile, the Sony Tablet S comes with all of the trademark style from this premium Japanese manufacturer. There’s Android 3.2, a 1GHz dual core processor and 1GB of RAM too. Added to that you can buy it in 16 or 32GB storage incarnations while the screen features a 10.1-inch capacitive viewing area. 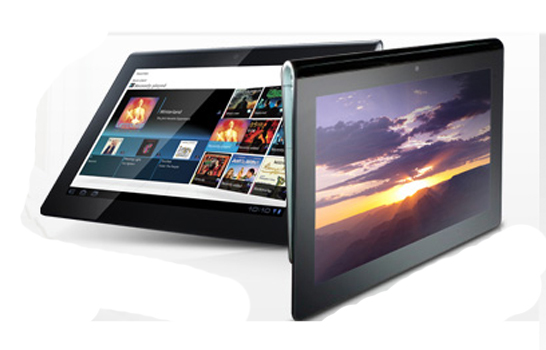 There are two cameras; both front and rear, while the wedge shaped design gives this particular tablet a neat twist on the many more conventionally designed rivals out there on the market. 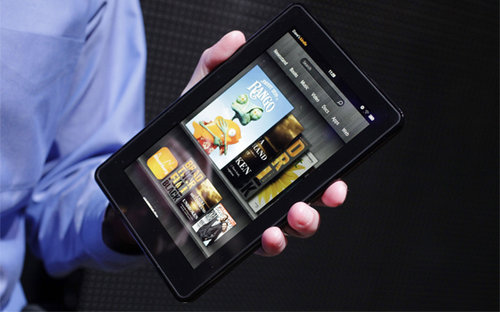 Let’s not forget that Amazon released the Kindle Fire in November. A cheaper option, this 7 inch tablet provides a great potential value for money present, especially during the current holiday season. With 8GB of internal memory (said to be enough for 80 Applications plus around 800 songs), and running a customised Android 2.3 Gingerbread OS, this particular device is sure to be in great demand going in to the new year. Finally, there’s the Samsung Galaxy Tab 10.1 , which is another newly revised tablet that is even better than the original version. Performance is top notch thanks to the Android 3.0 running 1GHz processor that’s dual core, along with 1GB of RAM and two different options for storage in the shape of 16 or 32GB. You get a 10.1-inch capacitive touchscreen and twin cameras too. Despite the fact that Apple’s iPad gets many of the plaudits, the Galaxy Tab 10.1 is actually the lightest and thinnest in the world. So, there we have it, four alternative options for you if you’re on the lookout for a tablet that offers a slightly different experience to the Apple iPad. All are worth a look and, thanks to stiff competition out there in the marketplace, you may even be able to bag one of these for a keen price too. While Android obviously doesn’t offer quite the same choice when it comes to apps, thanks to the increasing popularity of models like these it seems only likely that things will improve dramatically over the course of the next twelve months or so. iPhone 4S vs Samsung Galaxy SII – Which to choose ? Looking for an iPad alternative, I think my best choice would be the Samsung Galaxy Tab. You see its a great tablet. The others are great too! You just have to choose which one you are happy. Thank you for posting! It's really good tablets, good work Guest Blogger! I waited months hoping SOMEONE would actually bring a legit android tablet to market. They have all been vaporware. 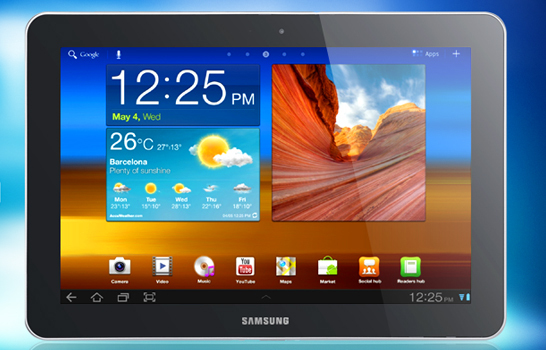 The only android tablet expected to actually hit the market this year is the samsung galaxy tab. Attractive section of content. I simply stumbled upon your weblog and in accession capital to claim that I get in fact loved account your weblog posts. Anyway I will be subscribing on your augment or even I fulfillment you access persistently quickly. Looking for a tablet to do some school work on but to have fun aswell preferable being able to watch alot of videos on the net with sites such as Sidereel or other such…Music is a must aswell and i would like 3G …any advice ??? Julie, Xoom is a great tablet and I loved it too! Get the product which you feel is right for you! 😀 And you are in no way in the wrong party. Hope you're having fun with it! Thanks for the positive feedback about the article, I'm glad you liked it. My personal favourite would be the Kindle Fire too! Really cool alternatives with Kindle Fire being my favourite. Hello Thomas! There has to be alternatives for those who cannot afford! I guess, I would go for Kindle Fire just for the price :P.
So which one are you planning to buy Thomas ?